There are around 5.7 million small and medium-sized enterprises (SMEs) in the UK, and experts are saying that it’s these businesses that will be hit the hardest by Brexit. So how true is it? There has certainly been no shortage of serious concern, however, the majority of research into the effect that Brexit will have on businesses in the UK has been focused on bigger companies. What we do know is that Brexit means big changes for SMEs, and that some of these changes will be positive, whilst others could prove challenging. One of the main impacts Brexit will have on small businesses is the change that will be made to import tax. For the first time, many small businesses will have to pay VAT upfront on imported goods from the European Union. This means that affected businesses may choose to find new suppliers within the UK to avoid paying this VAT and extra duty tax along with the cost of the products themselves. These extra costs to small-business owners mean that profits will take longer to recoup, which could potentially be dangerous for business development. However, overall it’s the small businesses with inconsistent profits that are the ones who will likely suffer from these new costs, and so may need to lower other costs to ensure they have enough liquid funds, whilst small businesses with steady profits and healthy growth will likely not face any issues. Research has shown that nearly half of the highly skilled EU citizens employed in the UK are considering leaving the country due to Brexit. This means there will be a fall in skilled workers available for SMEs. Although this looks like bad news for businesses, it may be a positive opportunity for individuals looking to improve their skills. Companies will have to hire lesser-skilled individuals and focus on up-skilling them to try and fill any talent gaps within their business, providing a great opportunity for local growth. Starting in 1994, the European Investment Fund (EIF) was able to pool billions through fund investments. The fund has already committed more than £2 billion to UK-based small businesses, providing funds for banks which then provide starting investments for small businesses. The EIF funding access will most likely disappear once Brexit finally settles. In an attempt to balance this, new schemes are being provided by city councils and larger businesses, along with banks now having to provide any SMEs they reject with a referral to a designated online finance provider. Although the exact amount is surrounded by uncertainty, the corporation tax rate, which has been set at the same level for all company sizes for over 3 years, is set to go down. This will be good news for all businesses, but SMEs will benefit the most as this will address the widely held view that smaller entities pay a higher rate of corporation tax than larger companies. This reduced tax will give SMEs a much-needed boost, along with other boosts such as small business tax reliefs and development tax credits. The main thing to do is to keep moving forward. By sitting back and waiting for everything to pass your business will likely fall behind, so be proactive and start planning now. If your business imports or exports products across the EU, make sure you consider how new regulations, like the changes to import tax, will affect you. Although there is uncertainty about what is to come, the links within the EU are too strong to be destroyed. This means you could consider moving into a new export market. It’s a good idea to do research, and even seek expert advice before making a move into any new markets, but there is the potential for unique opportunities for UK exporters and many SMEs. These opportunities could include expanding your business and creating international links if your company exports goods. It may become more affordable for international buyers to import your products, so adapt to make your business accessible for them. You should also focus on the talent that you already have, as you don’t want to lose valuable employees. 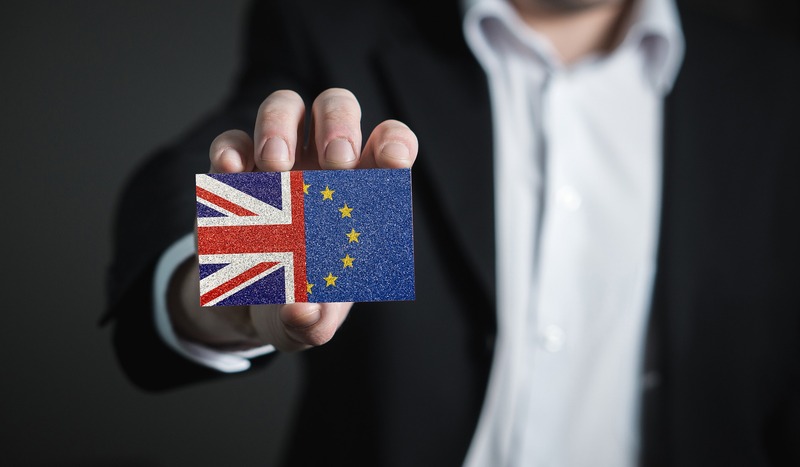 Create packages for them to maintain their loyalty and be sure to discuss what the potential outcomes of Brexit could be and what they will mean for your company.